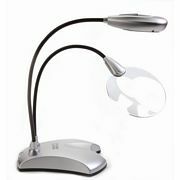 Magnifying glass with stand. 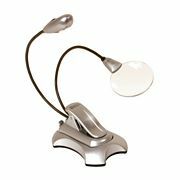 Ideal for reading maps, charts and books. 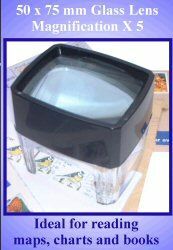 50 x 75mm glass lense. Magnification X 5.